Rajesh founded India’s first games company, Dhruva Interactive, in 1997 and is acknowledged as a pioneer of the games industry in India. Dhruva, now in its 17th year of business, is India’s leading games company providing game development and content production services to the global video games industry, with 300 people spread across console, social, and mobile segments. Dhruva’s clients include Capcom, Disney, EA, Microsoft, Sony, and Zynga. Shailesh Prabhu is an Indie Game Designer from India who has been designing games for over ten years. Seven years ago he founded Yellow Monkey Studios and is the recipient of numerous game design and entrepreneurship awards around the world. Socioball, HUEBRIX, It’s Just a Thought are some of his recent games. Shailesh is also an excellent cook, loves playing tennis, gardening and DIY projects apart from sporting facial hair. 7+ years of experience in Gaming Industry. Currently spearheads underDOG Gaming as a Game Designer, Business and Product Guy. The Indian mobile games market is one so often defined by its potential for the future, that one rarely takes the time to step back and reflect on the progress it's already made. But with 2016 drawing to a close, now seems like a good time to take stock of what's been an eventful year for mobile games in India. So what have been 2016's defining moments for mobile games in India? Are the market and industry beginning to show signs that they are coming of age, or does the Indian mobile market remain one mired in infrastructural complications preventing it from reaching the next level? PocketGamer.biz has dug around and spoken to those making the industry tick in an effort to find out exactly how much progress has been made in 2016, and how the events of the year will impact the industry in years to come. 1 Indian games for Indian gamers? Spirits were high going into 2016, after June Software and Nazara Games' Chhota Bheem Race became the first Indian-developed game to top the local Google Play download charts in November 2015. But while 2015 was the year of the milestone, it paved the way for more Indian-developed chart toppers in 2016 such as Virat Cricket, Chhota Bheem Himalayan Adventures and Sultan. All three of the examples above were developed specifically for the Indian market and based on major local IP - an International cricket star, a popular cartoon series and a Bollywood box office hit respectively. For developers like Nazara Games, whose focus is purely on the Indian market, these success stories provided vindication. “Look at the Indian film industry - it has been, and will always be, dominated by Indian content,” Nazara CEO Manish Agarwal told PocketGamer.biz in January. However, while the growing number of chart-toppers in 2016 shows that slow progress is being made in this area, such successes remain anomalous in the wider scheme of things. 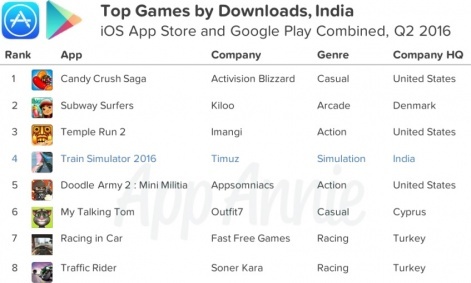 An App Annie report showed that nine of the top ten most downloaded games in India across Google Play and the App Store combined in Q2 2016 were Western-developed. And interestingly, the only Indian game to feature on the list was Timuz's Train Simulator 2016 in fourth position - a game developed for the global market, and with no India-specific appeal. Despite this, the prevailing consensus in 2016 remained that local games for local interests is the way to go. In fact, a new publisher, Flixy Games, emerged from a team of ex-Zynga employees with the express goal of localising foreign-made games for India. It received funding of $425,000 in September 2016. As well as tweaking things like character and location names for an Indian user base, the firm also provides its own technical insights to partnering developers. “There are challenges that are unique to India, such as data usage and app size, which may not be prevalent in other countries,” Flixy Games CEO Felix Manojh explained to PocketGamer.biz. However, homegrown developers will first have to prove that the Indian market is worth pursuing before turning the heads of international developers. Downloads are one thing, but monetisation has long been the elephant in the room for the Indian games industry. India's low credit card penetration and lack of established digital payment solutions. An absence of widespread 4G and WiFi that makes file size critical. An ingrained unwillingness to pay for digital game content. Some progress was evidently made here in 2016, with mobile games revenue in India hitting $16 million in Q2 2016 - up 80% from Q2 2014. But it's still nowhere near the $1.1 billion projection set by App Annie for Indian mobile game revenues in 2020. So how does App Annie see the aforementioned issues being overcome? 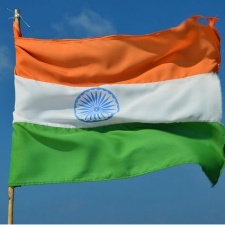 “Improvements in wireless network coverage and affordability of telecommunications services, coupled with continued initiatives to extend carrier billing will open up ample opportunities for game publishers to scale their user acquisition and monetisation activities in India,” a report by App Annie reads. 2016 saw the beginning of this, with Mumbai-based mobile network operator Idea Cellular becoming the first company in India to introduce carrier billing. This means that those on the network can pay for mobile content - including in-app purchases - directly through their network operator, cutting out the need for a credit card. The promise of this becoming available universally has been much-trumpeted, and Idea Cellular's network was 182 million subscribers strong as of December 2015, making it India's third biggest. Finding specific data on the subject is difficult, but accounts from local developers suggest that Idea carrier billing has had little impact yet - despite having already been available to over 180 million of India's mobile phone users for more than six months. “The jury's really out on [carrier billing], primarily because we don't have very good information,” Dhruva Interactive CEO Rajesh Rao told PocketGamer.biz. But of course, a universal integration of carrier billing across the country will likely have more impact - the only question is on what scale. Another example of a local network operator potentially impacting the games market is Reliance, who offered its users a taste of 4G completely free of charge via its Jio SIM. Available from September 5th to December 31st, Reliance Jio 4G broke records by enrolling 16 million users in its first month - thus ensuring that more Indian smartphone users were connected than ever before, going some way to solving a long-standing issue for the local mobile games market. 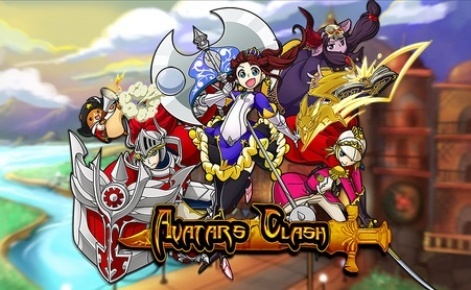 The extent to which its impact was felt in regards to mobile gaming is difficult to say, but anecdotally at least, developers feel that users' connections are a lesser issue than previously. “There are many, many users [in India] who are on 3G or 4G connections with higher end devices,” said Timuz Managing Director Ahmed Mohammed. A shift has been noted by some outside of India, too. “Every time we get featured on Rival Kingdoms now, India is our biggest install country by a mile,” Space Ape Games COO Simon Hade tells PocketGamer.biz. “Huge demand, but there's just very few people who can pay. The final nut to crack, then, is that willingness to spend - an altogether tougher proposition. 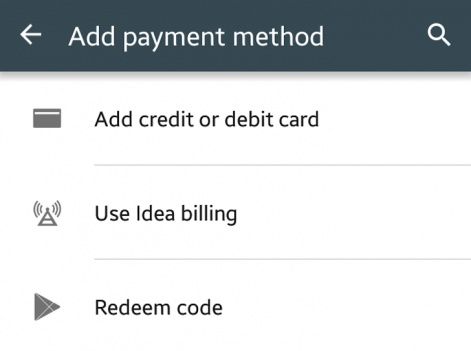 An attempt was made by Google Play in 2015 with the introduction of lower IAP pricing tiers for India, and some have reported good results from this. Mumbai-based developer UnderDOGS Studio reports a 10% boost in revenue on some of its work-for-hire projects after implementing lower IAP tiers in 2016. But App Annie's $1.1 billion projection is based on the idea that as the Indian mobile market matures, spending will become more commonplace. To this end, it is perhaps a cause for concern that while Indian game downloads in Q2 2016 were 2.1x higher than in Q2 2014 - putting India fifth for downloads worldwide - total time spent playing games only increased by 30% in the same time frame. So while it's going in the right direction, 2016 was not a breakthrough year for mobile game monetisation in India. However, some of the major steps forward from the likes of Reliance and Idea may be seeds that bear fruit in the coming years. 3 The birth of a cashless India? Or maybe, intervention from the government was just what the Indian games market needed. Indeed, the demonetisation of 500 and 1,000 Rupee notes by the Indian government in November may have had the side effect of diminishing the stock Indian citizens place in physical currency, and necessitating a more widespread solution for digital payments. “I think the defining moment of the year is going to be the effect of the demonetisation strategy on the Indian games industry and growth of monetisation in games in the next 12 to 18 months in India,” June Software CEO Roby John tells PocketGamer.biz. It's an opinion echoed by Ankush Madad of Dropout Games. “The announcement shook the entire nation and has caused a lot of issues on a day to day basis, but when it comes to online payments and digital wallets, this move to make India cashless and fully digital has benefited them tremendously,” he says. “Paytm witnessed a 200% increase in app download numbers, and ride hailing app Ola saw Ola Money seeing a 1,500% increase in wallet recharges. In a recent Indian Mavens discussion, Nalin Savara put its potential impact into perspective. “The current demonetisation - and the push towards mobile wallets, electronic and internet banking - means that in a few short months, India may well become one of the largest markets in the world for e-commerce and cashless transactions,” he wrote. Is this a recipe for a booming Indian mobile games market, a truly serendipitous intervention from the government that gives Indian mobile users the push towards digital payments that they need? It's no doubt more complicated than that. 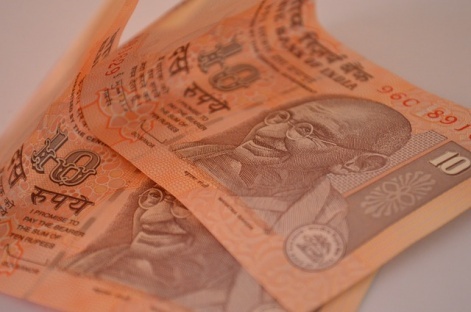 But with the government's Cashless India campaign officially pushing for a “Faceless, Paperless, Cashless” future, this remains a process that will surely have ramifications for mobile games and countless other industries far beyond 2016. As the Indian mobile games market expands, so too does the local industry. As of 2016, there are more than 250 established game companies in India - up from around 220 in 2015. “Many indies and small studios emerged in what is today becoming a vibrant development community,” Roby John tells PocketGamer.biz, reflecting on 2016. Success stories like Nazara, who announced revenues of $32.6 million in July - nearly half of which came from the Indian market - proved that making a living from games in India is not a fantasy. As did Timuz, a completely independent company based in Hyderabad that has three offices across India (plus one in Malaysia) and a total of nearly 100 employees. Other, smaller studios also continued to show that making money from games is possible in 2016. Dropout Games expanded to four members after selling between 30,000 and 50,000 units of its premium puzzler Blyss. Meanwhile, UnderDOGS Studio grew from four to 12 staffers and gave up on work-for-hire projects after receiving investment. However, Ankush Madad provides a counter-point: “I saw and met a lot of new people who've recently joined the industry or have set up their studios, but I also saw few studios shutting shop (unofficially) or scaling down their operations,” he reveals. He adds: “From an investment point of view, I think its pretty clear that this year's VC investments were far lesser as compared to 2015. However, these comments came before the announcement that Dhruva Interactive - India's first games company - has been acquired by Starbreeze for $8.5 million. 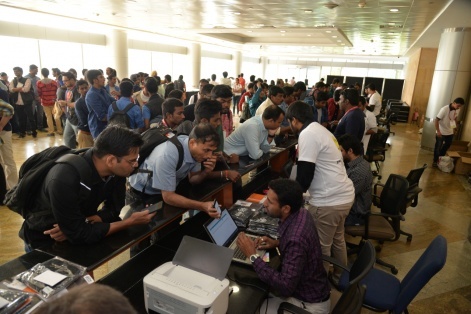 Moreover, a growing interest in game development as a career was shown by NASSCOM Game Developer Conference 2016, which enjoyed a record high attendance of 1,800. Perhaps more encouraging, however, was the presence of representatives at the event from the government of Telangana - the new state of which Hyderabad is part. The Telangana government is committing to the technology industries, setting up India's largest startup incubator - dubbed the T-Hub. It's also pledged to create a world-class gaming and animation centre called IMAGE City in Hyderabad's Ranga Reddy district. He also stated that the India's developer community is somewhat uncooperative, negatively comparing it to the thriving, sharing communities of Nordic countries. Shailesh Prabhu, a key member of India's independent community and formerly of Dhruva Interactive and Nazara, also felt these frustrations keenly as he swapped Mumbai for Copenhagen in June. “Even today, what I see from most of the industry is almost like Silicon Valley the TV Show - a lot of bullish behaviour, keep saying 'everything is great' and attract more investments from VCs when the realities are very different,” he told PocketGamer.biz at the time. “I have been involved with trade organisations and communities in India and the experience has been pretty much the same - keep being boastful and hush any negatives about the market realities. Unfortunately, he's not alone in these sentiments. There's a real divide in India between those evangelising the local market and its potential, and indies who want to be more creative - and seemingly very little mutual respect between the two. And while the industry is undoubtedly more prosperous and healthy than ever before, more unity may be needed in 2017 and beyond to prevent more talent opting to head elsewhere. Does Chhota Bheem Race's chart-topping success prove the potential of Indian-developed games for the Indian market?